These are really nice and - imho - much better than the Indians. Keep on painting and improving. The period you are dealing with is really interesting. So I will continue watching your posts. When setting up/laying out the diorama do you glue the figures down to the board first and then put down the scenic scatter? 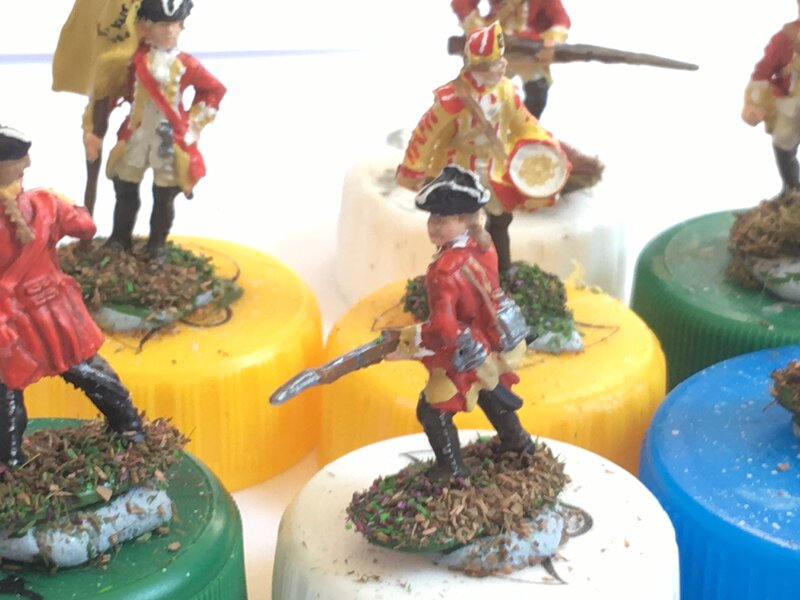 Or, do you put the scenic flock/powders down first and the glue the figures on top of this? I have experimented with both and they both seem to have disadvantages. Any words of wisdom for me would be welcome!!! Probably cut the bases off and drive a pin into the heel. Leave some pin protruding, then use that to stick the fig into the dio. You can reposition them easily that way. Thanks for that suggestion Bluefalchion, I'll give it a go and see how I get on! 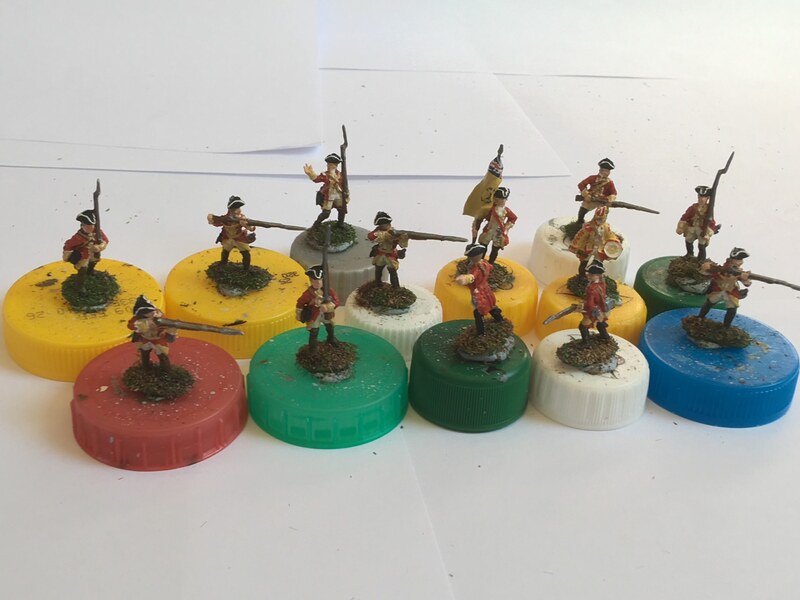 I have recently bought some Vallejo acrylics so these are the first figures with those paints. 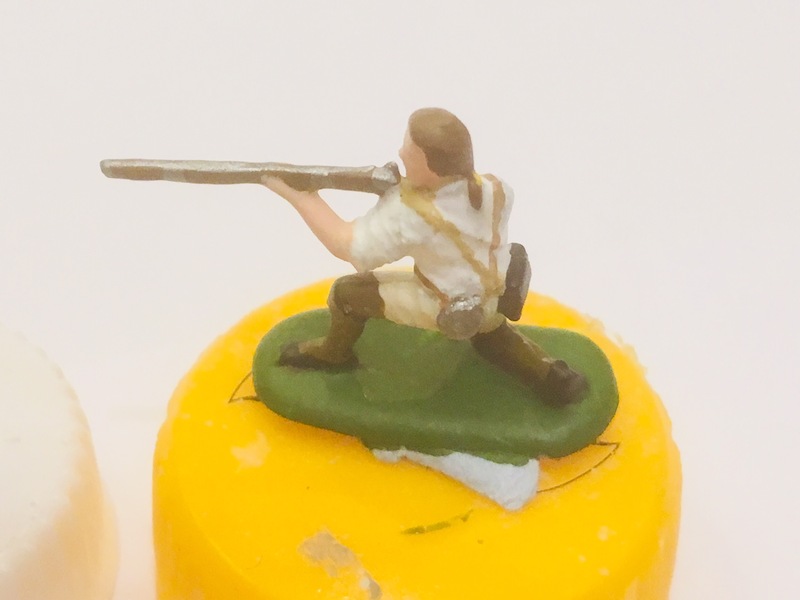 I think I have used less paint on the figures, but in these photos it's hard to tell the difference! If you were to actually look at them in person I hope you could tell the difference between these and some of my previous efforts. Here are more men for the 44th. 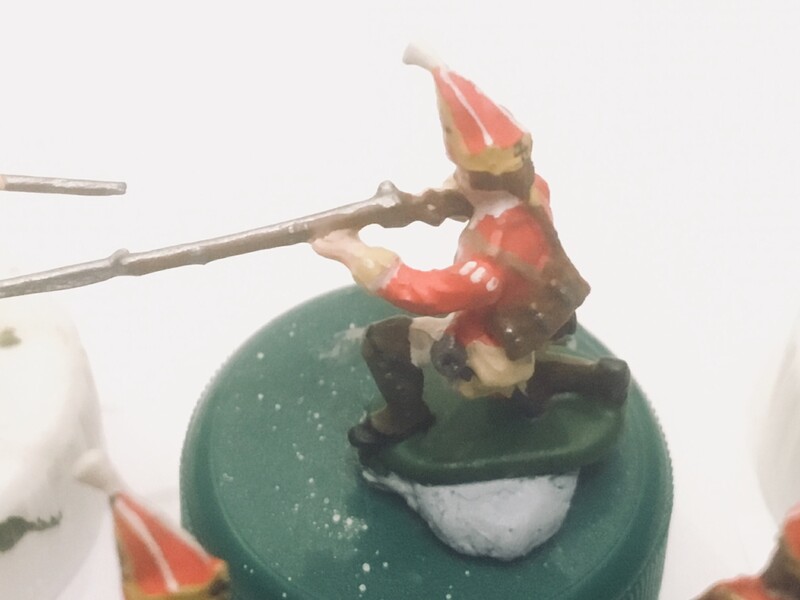 The regular company figures are Accurate whilst the Grenadiers are a combo of Hat and Zvezda Prussian grenadiers. 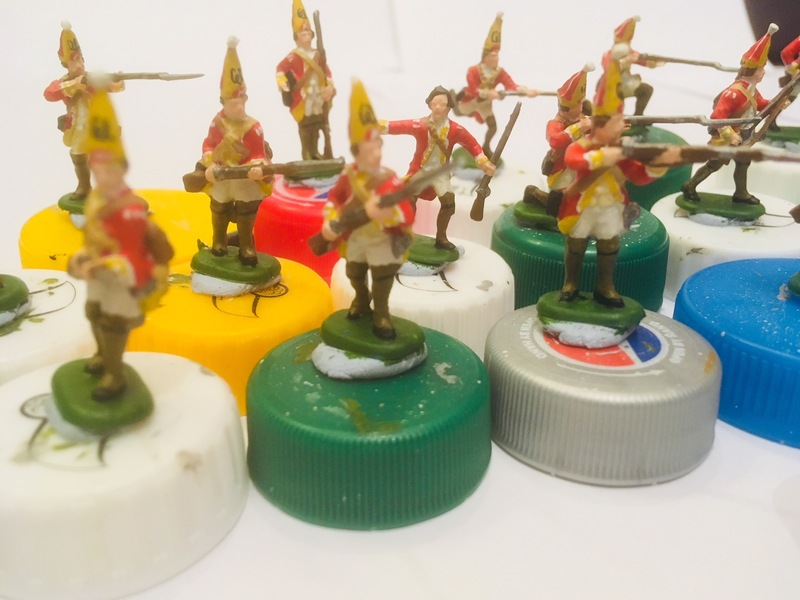 The majority of these grenadiers are too tall to be used in my current piece, but will be used in my follow up which concentrates on the vanguard of Braddock's column. 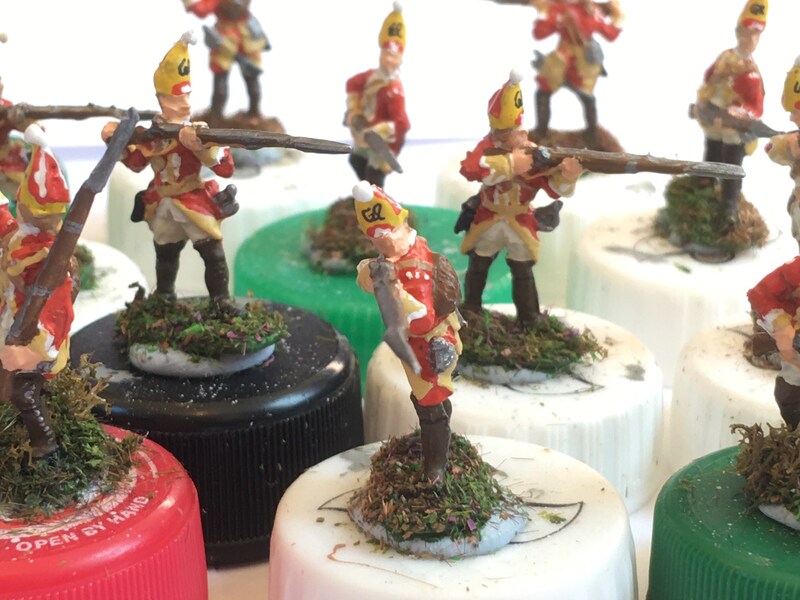 The French troops look good and so do the new Grenadiers. 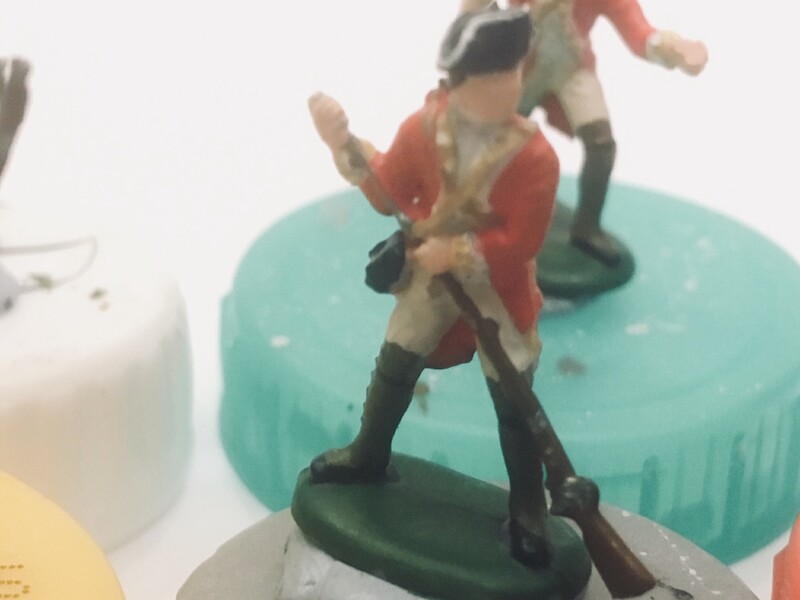 The subtle grey shading does a nice job of breaking up the all white parts on those british uniforms and the ones with slightly off white breeches look good too. Nice neat Royal Cyphers on the Grenadier caps. Quite an improvement. The paint on the faces is still a bit thick. A reddish-brown wash could help draw out some of the features. This is a good thread, so keep up your work Rich! Really like to follow the progress and to see your figures! 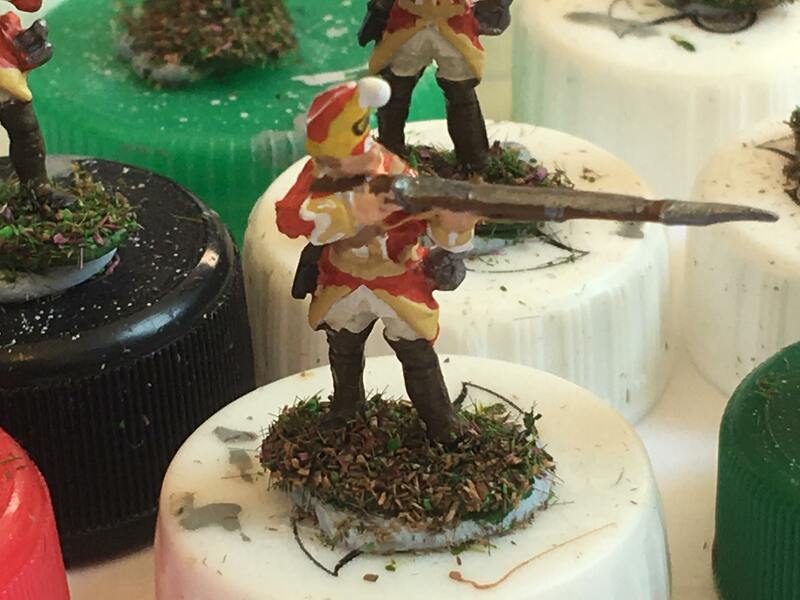 The grenadier holding his hat in his hand is a very nice idea! I also like your new figures. A washing with a darker thinned colour would be my suggestion as well. Give it a try. A dark grey for the white and a dark red for the Uniform would be good. For the belts you can use a thin black line on both sides to define the extension and to give the lines more precision. Keep up the good work! And have fun while painting. I am no painter but these are much better. I was put onto washes and at first hated them as eyes etc can look like Halloween. However, with practise and flicking excess away with another dry brush the results can be very pleasing. Unique painting style. And you painted a lot of them! I like to see more of them! Thank you all for your continued feedback and support, it is appreciated! I've just started another batch of the 44th and have used (for the first time ever!) 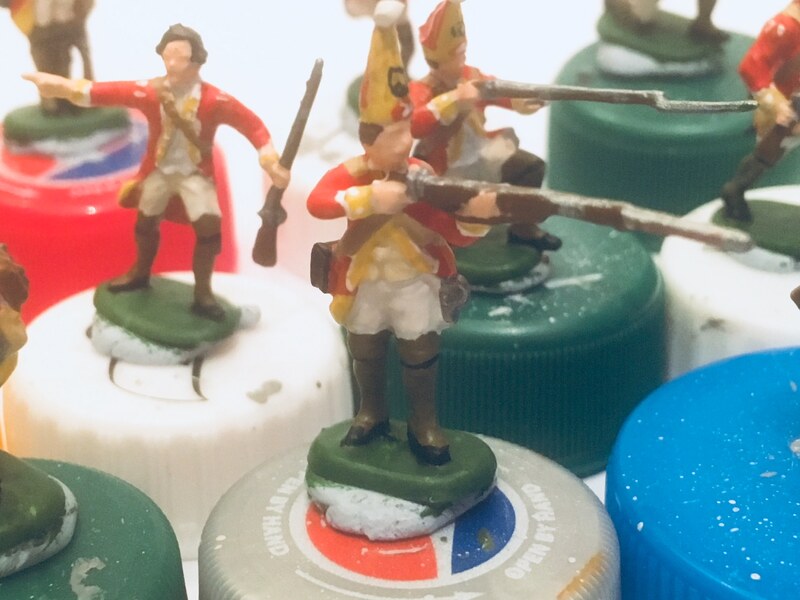 a wash on the red coats. Fingers crossed they come out ok! 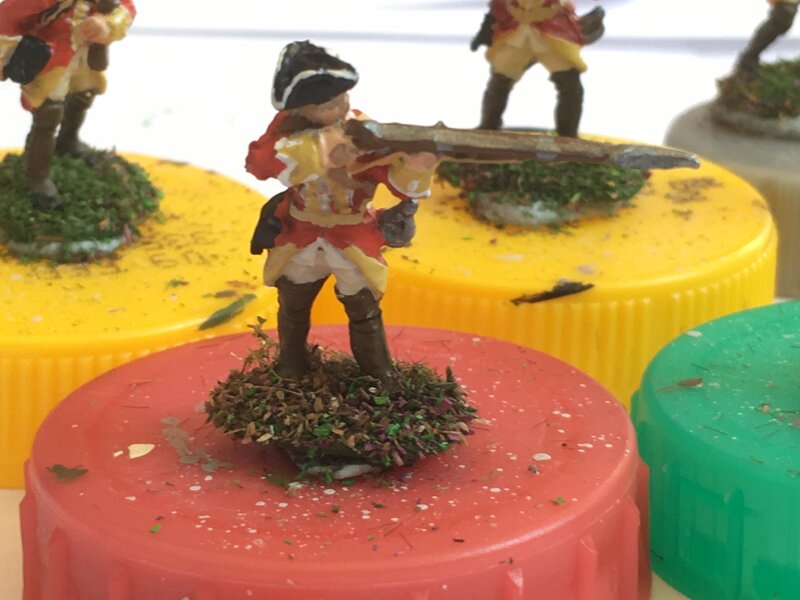 I have also started to prepare the base of the diorama and will have a go at making some quick and easy (and cheap!) trees-so I will be searching through the forum for old tips and hints on that. Again, thank you all for your positive and constructive words! I would love to see some trees! And more figures! I'm on the hunt for nice and cheap trees. 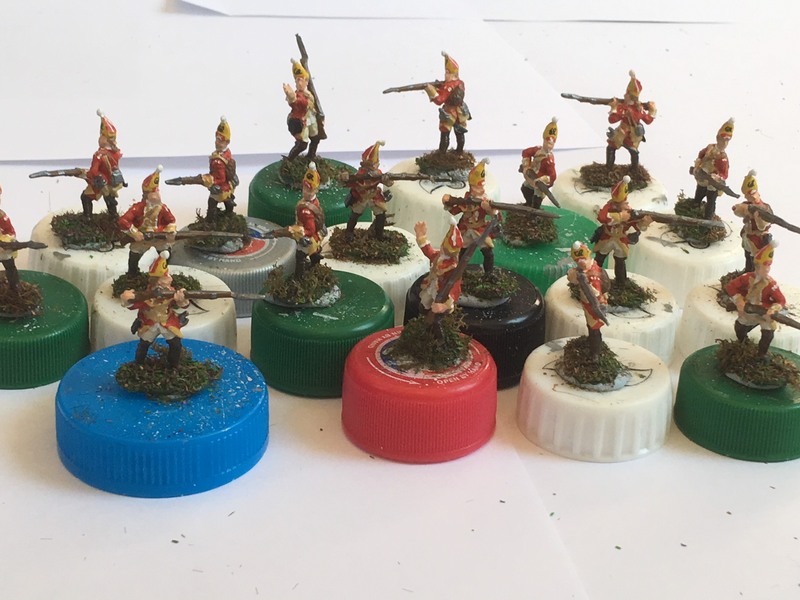 Here is my next batch of Redcoats. 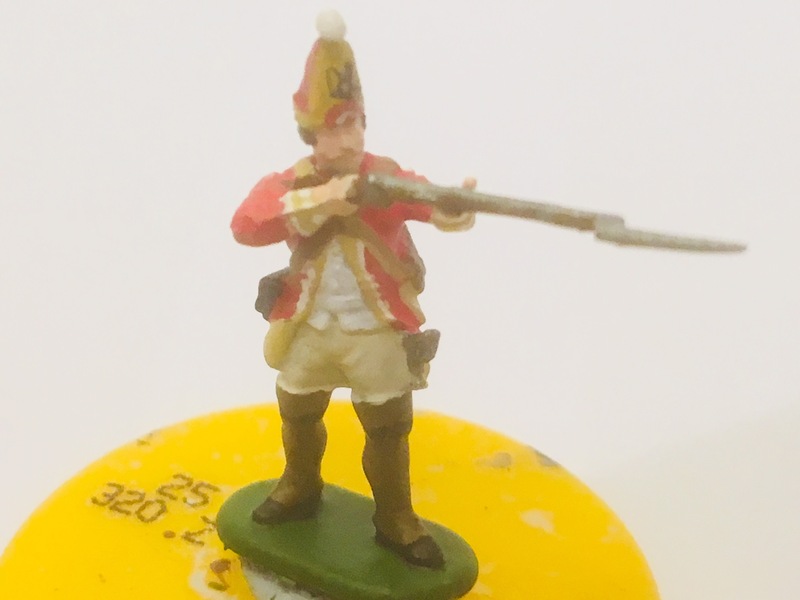 These are again taken from the really good Red Box British Infantry set. 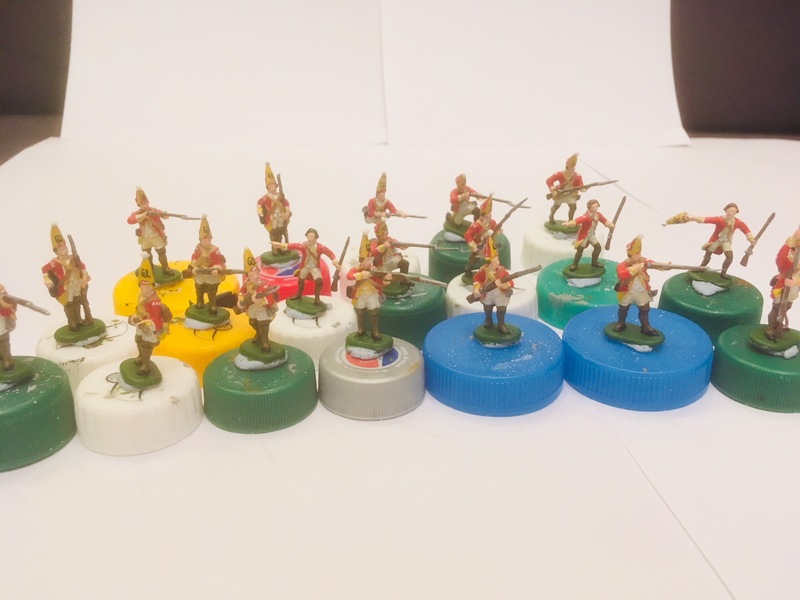 I have used a wash for the coats, which I'm pretty happy with (the pics don't show it particularly well). I tried a wash for the face but it looked terrible, so I slapped another layer of paint over the top. I'm still in the process of making the trees, but hopefully will have the diorama done by the end of August if I can find enough time. As always, your feedback is very welcome. Regarding washes I had a terrible start with them as they can blob all over the place. I have seen really nice figures that on a closer inspection look awful because of it. 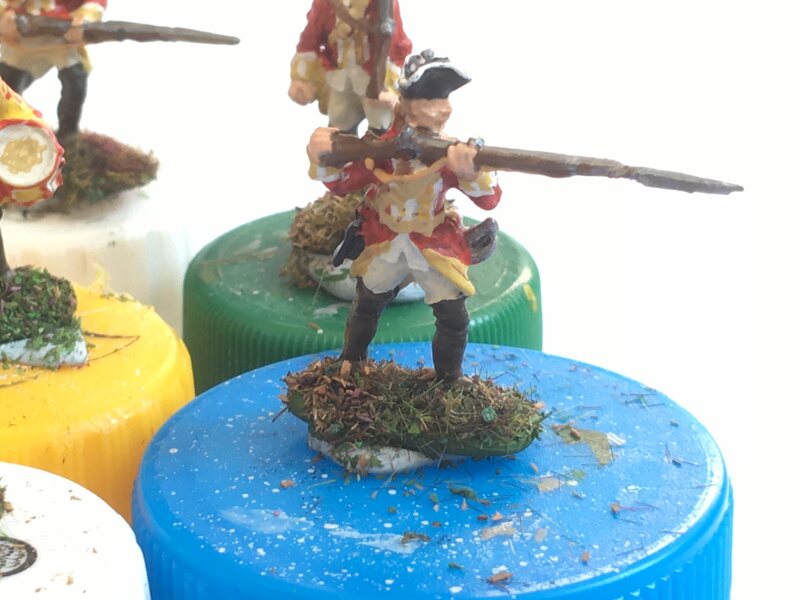 However, if you use a little and then use a dry brush to remove excess they do enhance the details to hood effect. Less is more so to speak. Keep up the good work, and keep showing us the results. 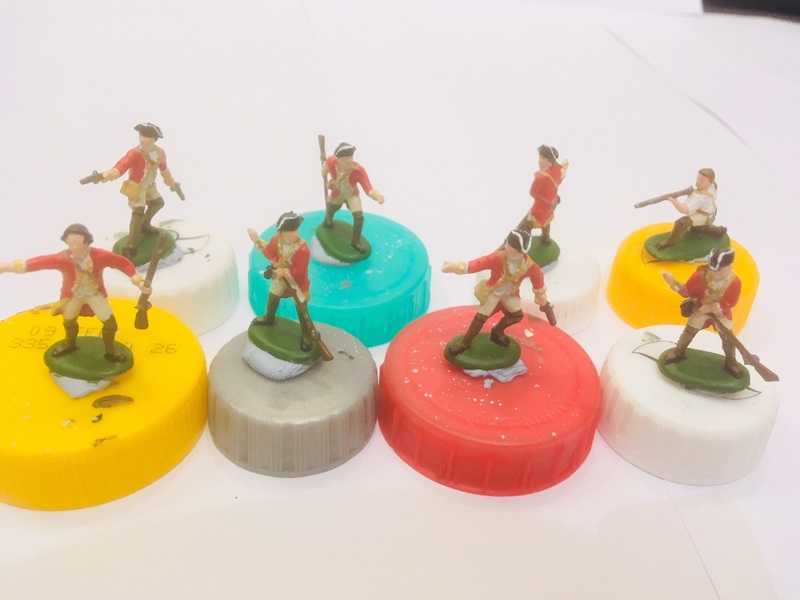 Are you priming before you paint? Very important step. 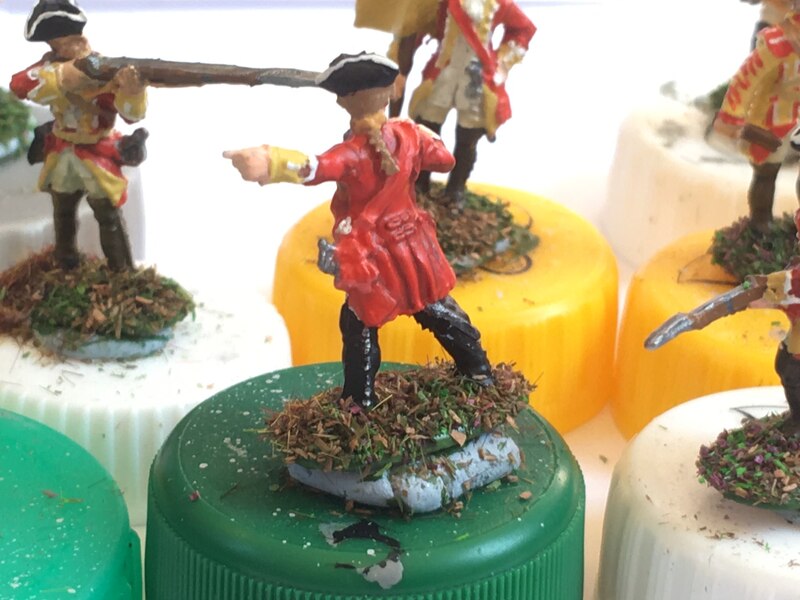 From these photos, it appears that you are still ending up with very thick coats of paint on your figures. Spray prime from at least 33 cm away from the figure so you get a thin dusting, then thin coats of paint and you can do 2-3 layers to ensure adequate coverage. As it is, you are managing to wipe out nearly all the fine details on your figure. It takes a little practice, but your paint should be about the consistency of whole milk. That sure is a fun filled collection of colourful figures. The defensive poses are spot on correct,and are a very good set to have. 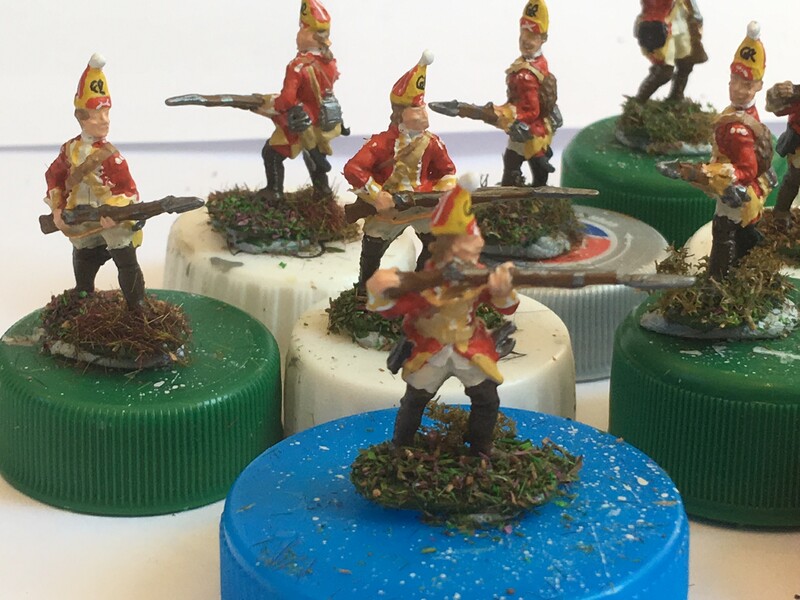 I don`t use washes myself, well I cannot paint at present,but working through many years of painting Napoleonics, I never used that ready made stuff ever. 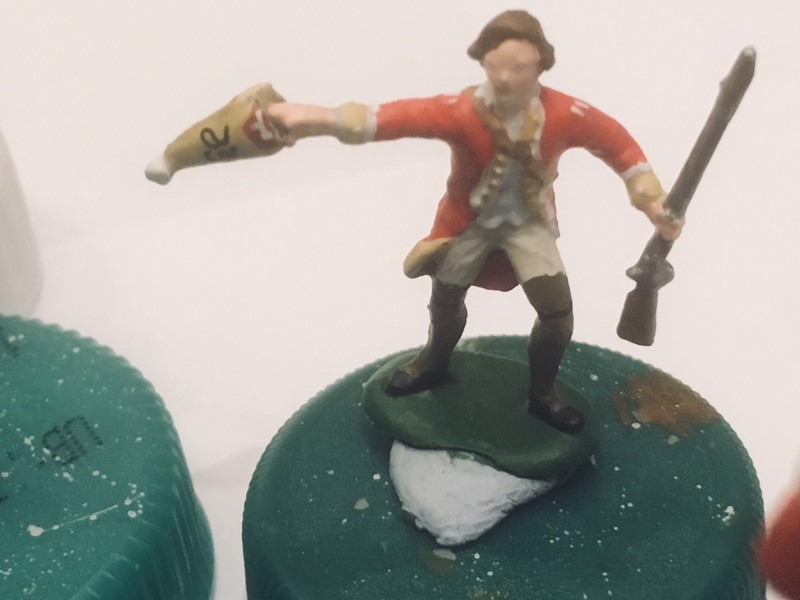 However in painting fantasy figures I made my own colour-wash without any effort involved at all,and applied it with good end results. 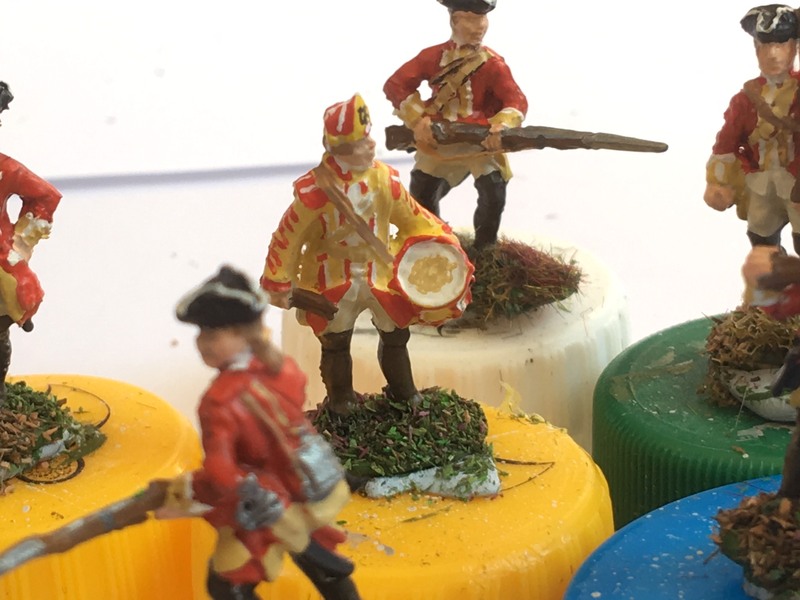 Often I`d give figures a couple of washes from my jar of water I stick all my primed and well used brushes in. Giving it a good stir it was fit for my purpose ,and worked quite well, and more to the point of winning brownie points_____ it cost nothing at all. Enamel paints can have a white spirit based wash applied on them, all that's needed is a few drops of ones preferred colour added to a table spoonful of the stuff. Put it on and let gravity do the rest in the heat wave we are having at present. 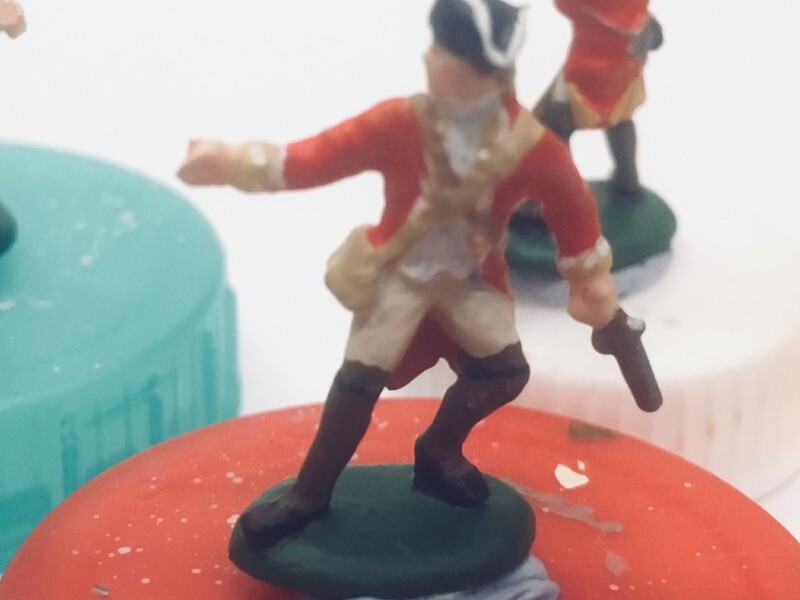 It might be a case that a figure might need turning over and over by hand to control the direction of the running stuff,and held upside down,then right way up to help coat an entire figure.